$13 Off Tees, Sweatshirts & Hoodies! PLUS FREE Shipping! You are here: Home / Great Deals / $13 Off Tees, Sweatshirts & Hoodies! PLUS FREE Shipping! For a limited time only! 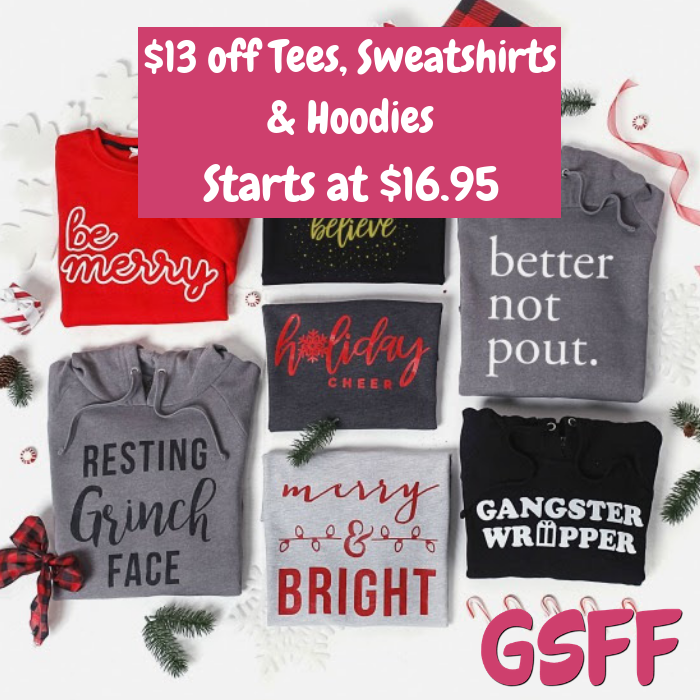 Hurry over to Cents Of Style where they are offering $13 off their Tees, Sweatshirts & Hoodies when you use promo code HOLIDAYSTEALS at checkout PLUS FREE shipping!